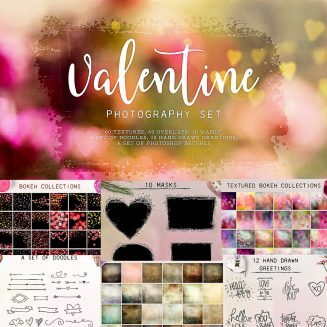 A beautiful collections of textures and overlays to help your Valentine photography look better! With this set you can design your own Valentine card, Valentine greetings, advertisement etc. 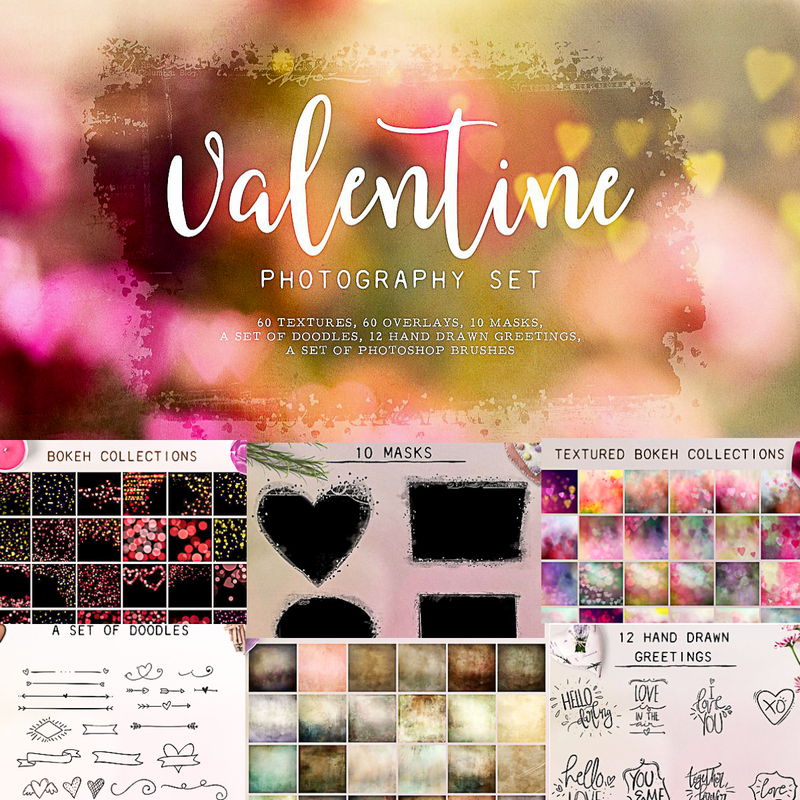 Included in this pack are: 60 Heart Bokeh, Overlays saved as 5000×5000 px jpeg., 30 Textured Bokeh saved as 5000×5000 px jpeg., 30 Artistic Textures saved as 5000×5000 px jpeg., 10 Clipping Masks saved as png., 12 Hand Drawn Holiday Greetings saved as AI and PSD files., A set of doodles saved as AI and PSD files., A set of Photoshop Brushes. File format: .jpg, .png, .ai, .psd, .abr for Photoshop or other software. Tags: arrow, bokeh, card, heart, love, photoshop action, romance, romantic, swirl, texture, Valentine.